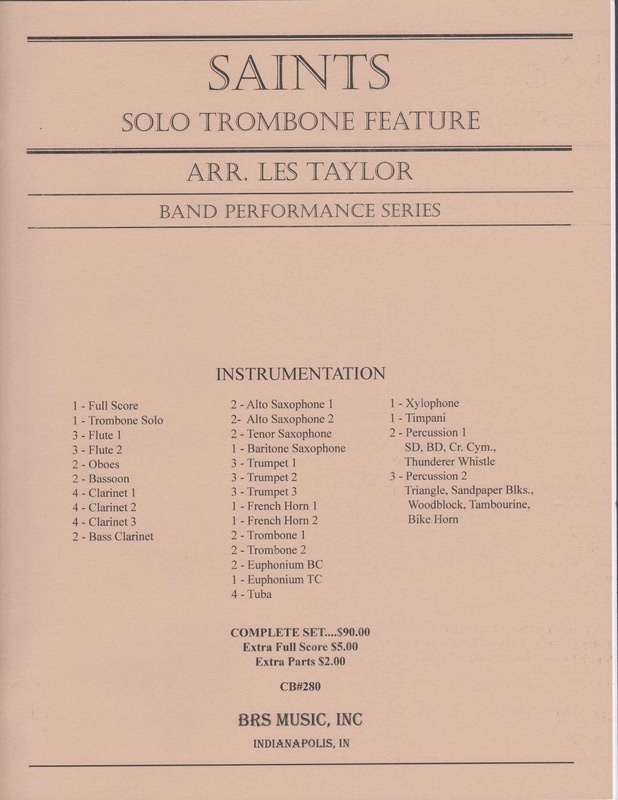 Featuring the trombone solo throughout, this toe-tapper starts with the solo bone statement and then tears off through several stylistic settings including soft-shoe, march, bright swing and a solo section for the trombone to stretch out improvise on his own. A spectacular selection on your concert and to feature a musical personality. Could also be used with a tenor saxophone soloist.